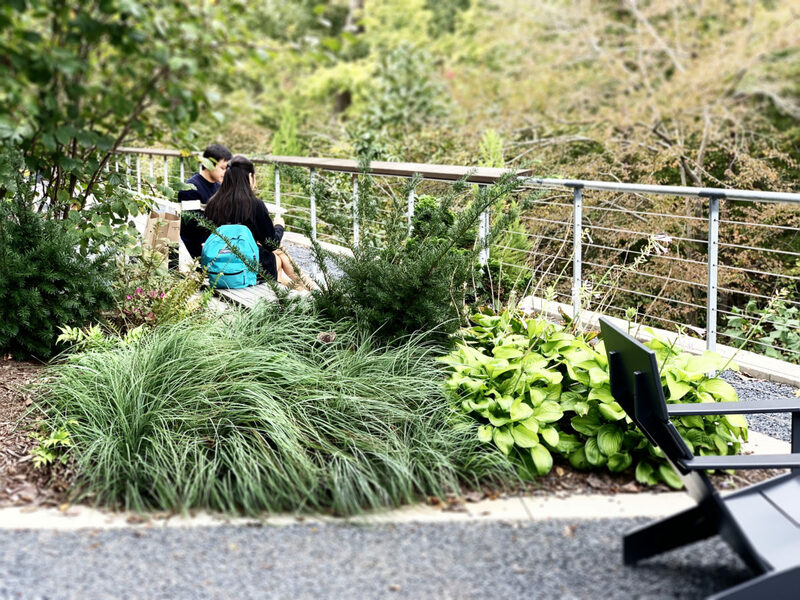 Central to the campus, the site provided unique challenges for the design team including sensitive existing utilities, considerable grade change, and the need to maintain an important accessible route through the site. 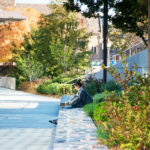 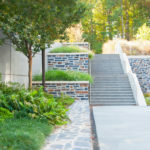 The landscape architecture focused on facilitating pedestrian movement through the site while creating a peaceful and contemplative aesthetic to the entrance of the Student Health and Wellness building. 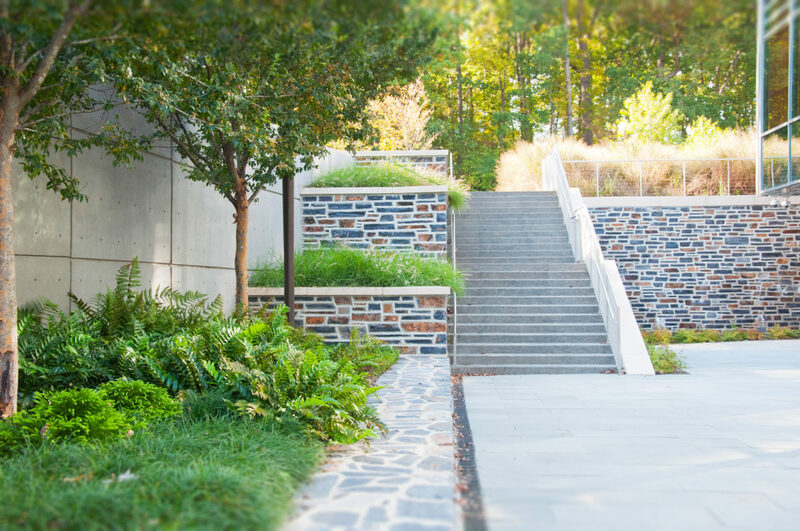 Refined naturalism in site hardscape and planting material was the result of a contextual response to adjacent campus spaces and the existing section of Duke Forest. 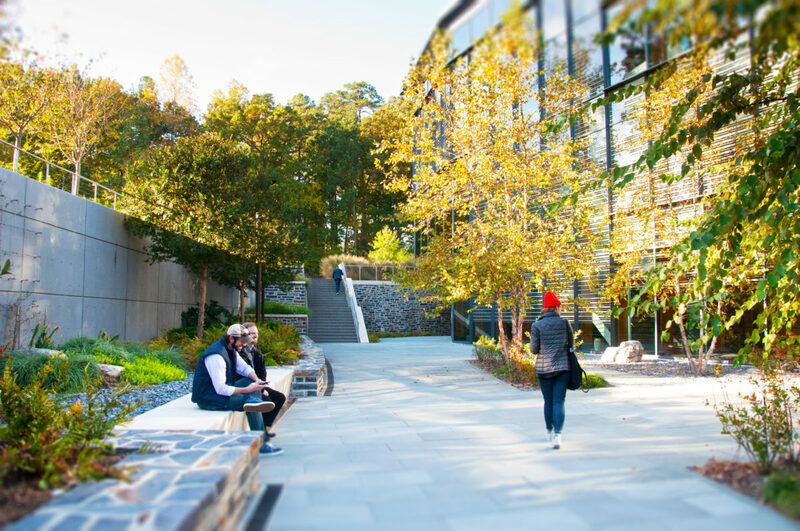 The design of the building and site walls reduced the project’s impact on the adjacent research forest to the north and provided a visual connection to the surrounding forest landscape from the building. 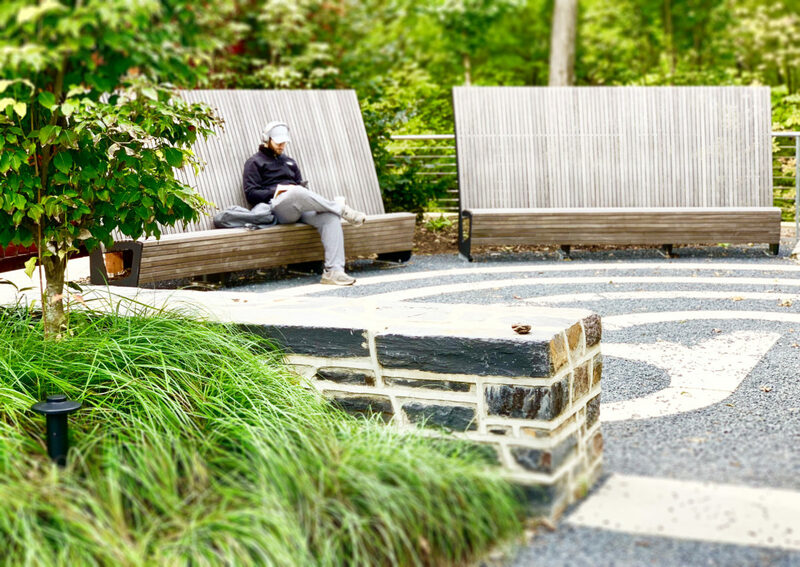 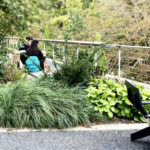 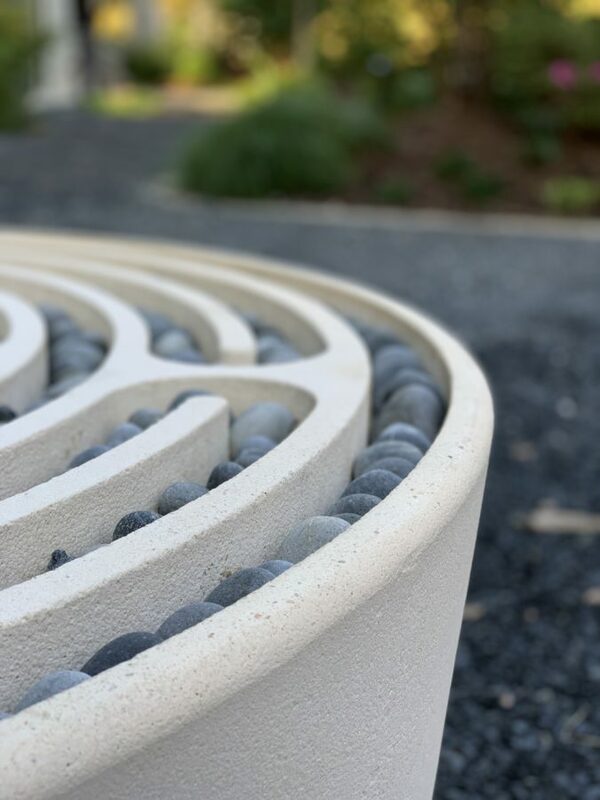 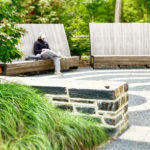 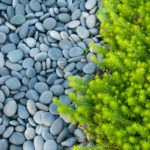 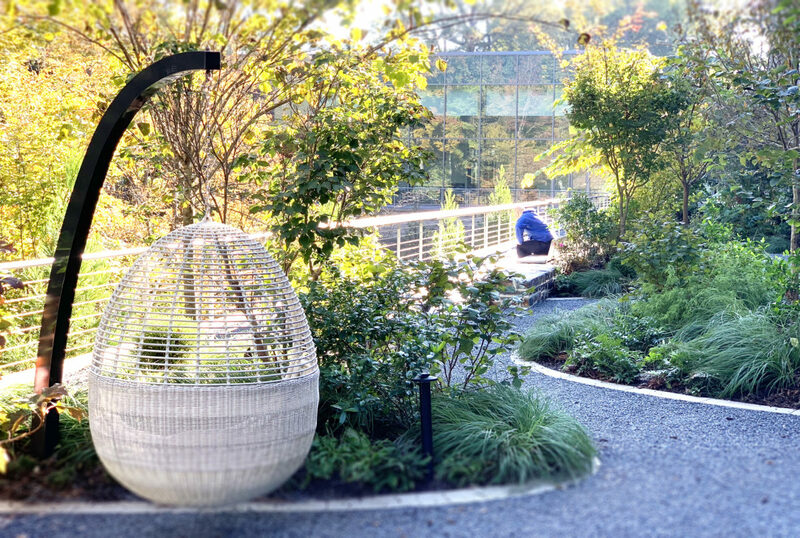 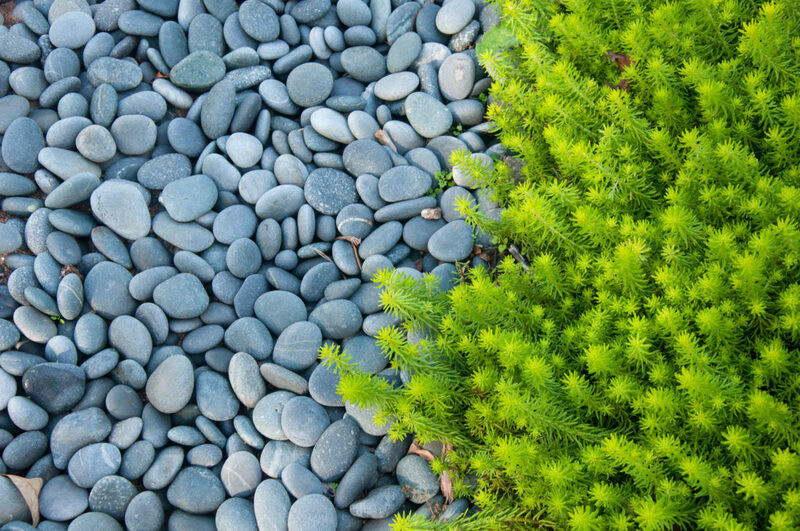 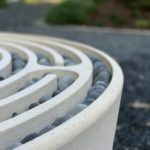 Between building and forest, a contemplation garden will provide spaces for meditation, focused relaxation and reflection, and break-out spaces for meeting rooms. 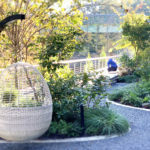 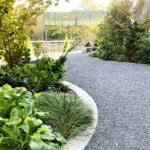 The planting and soil design were carefully developed for this project, which included urban tree plantings and garden plantings. 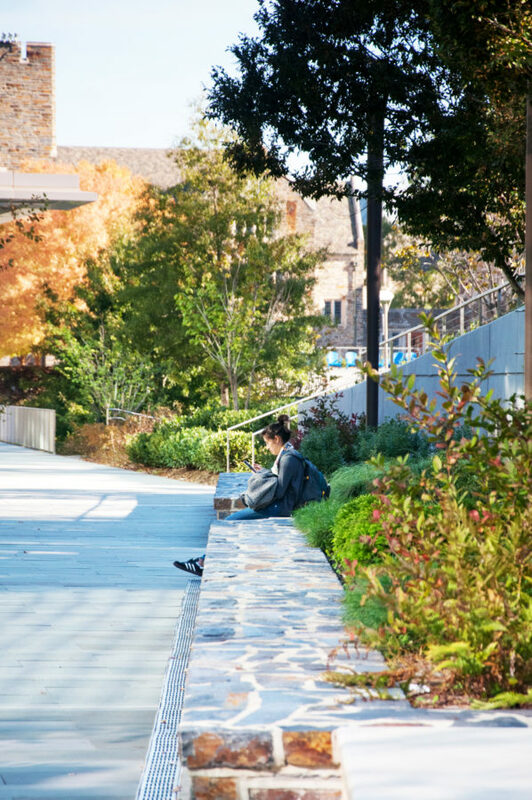 Careful attention to structural soil design and placement within plazas assures proper areas for root growth, while providing usable spaces for students to move through the space. 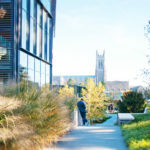 The structure itself is approximately 71,000 square feet on three floors, and includes therapy rooms, student health, a pharmacy, exam rooms and nurses’ stations in addition to offices and meeting rooms. 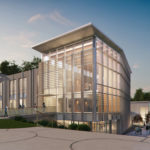 The building, engineered by Stewart’s structural engineers, consists of composite steel construction with a lateral system consisting of moment frames. 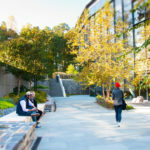 The main lobby features a two-story volume framed with glulam construction, that provides natural light to the interior. 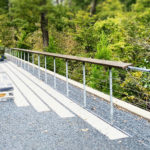 Stewart also provided Level A and Level B SUE services, consisting of utility mapping of steam, water, chilled water, high voltage, and telecom systems, in addition to determining the size and depth of the utilities. 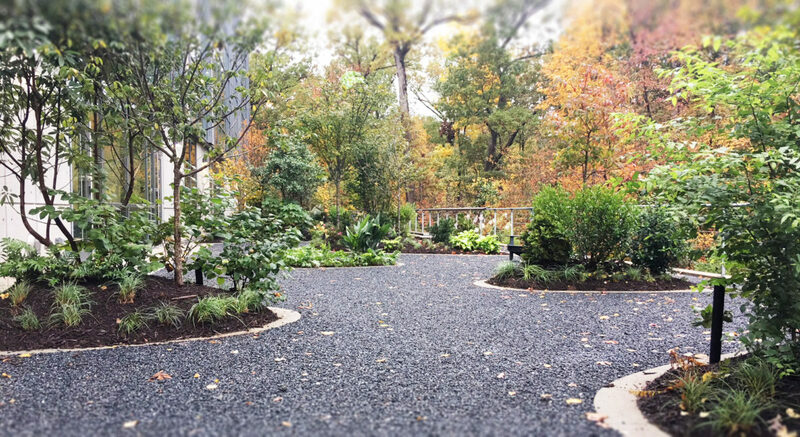 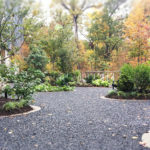 Stewart’s civil engineering services included utility service extensions, grading, stormwater, and drainage to include the necessary permitting through the City of Durham. 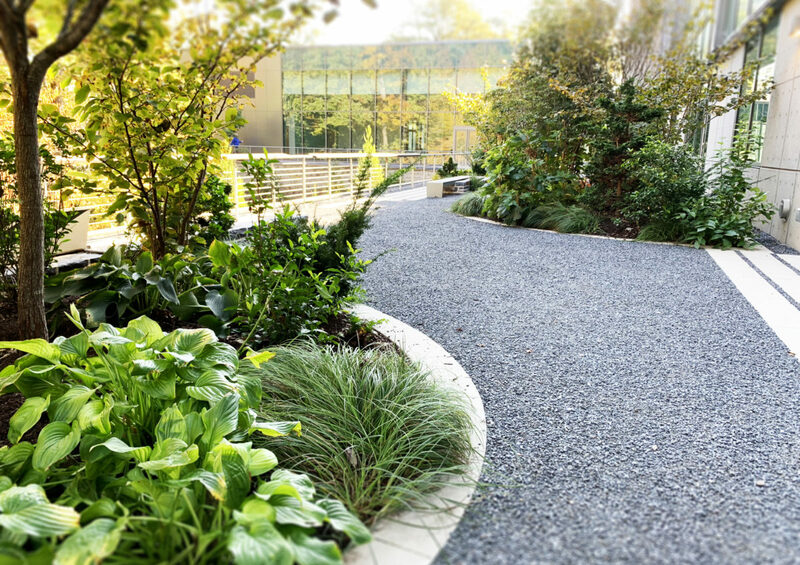 The new building and site are located within a part of the old Duke Woods, necessitating enhanced stormwater detention in the form of an underground concrete detention system with water re-use for landscaping. 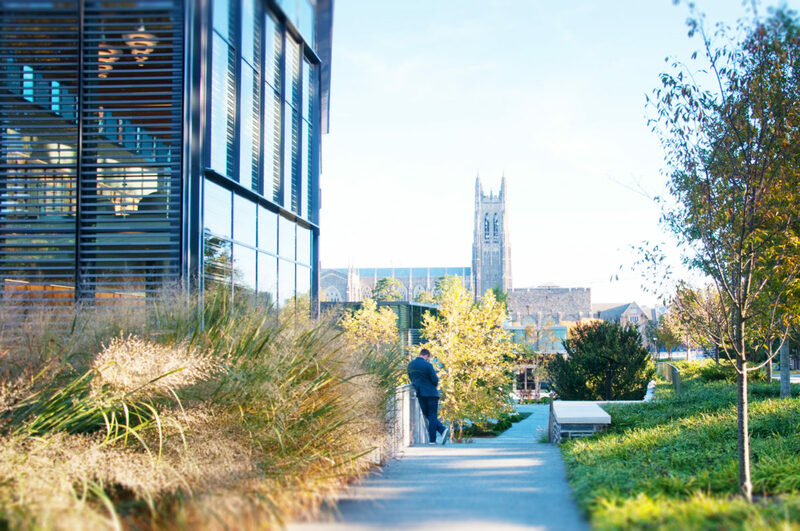 The project aims to achieve a LEED Silver rating and is currently undergoing certification.